Let’s talk about stuff shall we… I never knew there was so much stuff you can have and buy for your child, but is all that stuff really necessary? Don’t get me wrong seeing the look on Jack’s face when he gets a new toy is heart melting, and then about 2.5 minutes later he’s over it. So why then do we as parents keep buying more stuff? Is it to make up for the things we didn’t have when we were young or is it because we are addicted to those two minutes of joy a new toy brings? Or are we addicted to just “buying”? Stefan and I recently watched the documentary on Netflix called “Minimalism: A Documentary About The Important Things”. It really changed things for us because we live in a society where we are constantly told through marketing that we “need” things. It kind of pisses me off when I really think about it, ya know? We don’t “need” anything except the necessities and sometimes that can get away from us. Based off our answers to those questions we were able to shed multiple large trash bags of stuff. We took all of our “stuff” and donated it. I had been holding onto shirts that I haven’t worn in over two years and it felt good to let them go. Obviously I know there may be some people reading this thinking she is crazzzzy and you never know when you’re going to need that hot pink sweater again. Trust me doing a little minimalism is so freeing. Stefan and I approach minimalism with our parenting style when it comes to the “things” Jack needs. Like I stated above, I’m not a freak, I love seeing the look of pure joy on his face when he gets a new toy...However, I have seen Jack open the kitchen cabinets and take our plastic to-go water bottles and use them to collect all the magnets off the fridge, and put them back, which entertained him longer than any toy he’s played with. My point being, I personally feel like the world is a brand new place and there are tons of “things” he has at his imaginative disposal. There’s no need for 100 toys filling the living-room he won’t play with for more than a few minutes. In no way is this supposed to make anyone feel like they should feel shamed for spoiling their child, that’s our job as parents. I am just simply sharing a few minimalist steps we have taken and it has made us feel really fulfilled and thankful for the small things. It has also made us reevaluate the importance of the experiences we are having and the human connection. I remember the days when I was a little girl and I would play outside all day long, ya sure I had a few Barbies with me, but they were in the dirt and I was using my imagination to create the setting for the day. I want to create a space where it’s ok to have minimal things, and that it doesn’t have to reflect negatively on your social status. Be who you are, be bold, and unapologetic. I could give zero fucks if people pass judgement because Jack repeats outfits each week. I mean really, I can’t justify spending 100’s of dollars on little kids clothes they will grow out of in a month. 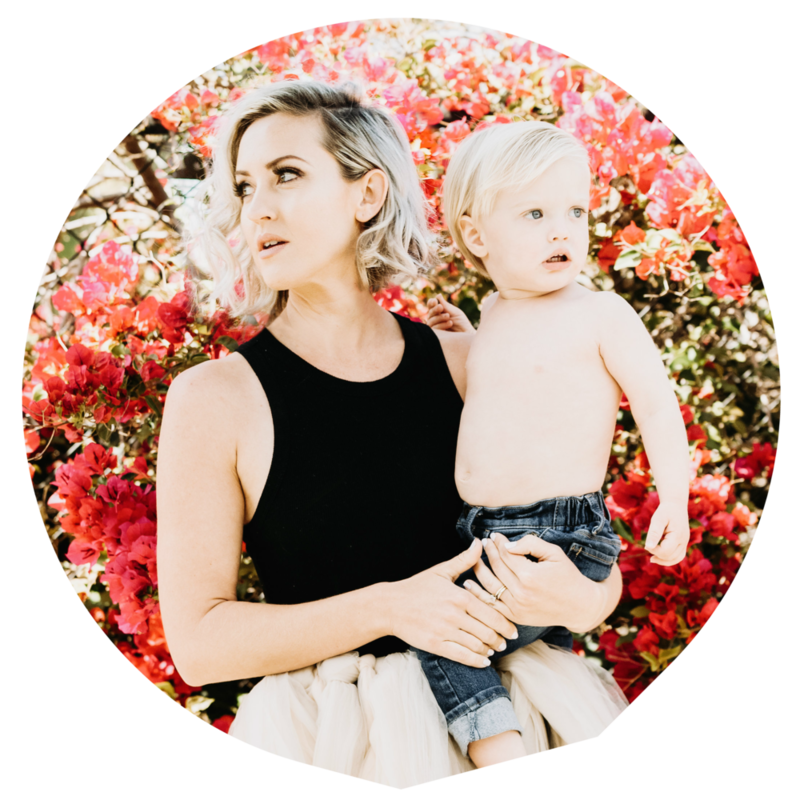 It's hard to "keep up with the Joneses", you can read more about my take on when that creeps into motherhood HERE. I totally recommend watching the documentary and giving the idea a whirl. I’d love to hear your thoughts on this topic in the comments below! !